Whether you need a music room, art studio, science block or just an extra teaching or office space, choose the classroom where learning comes naturally. 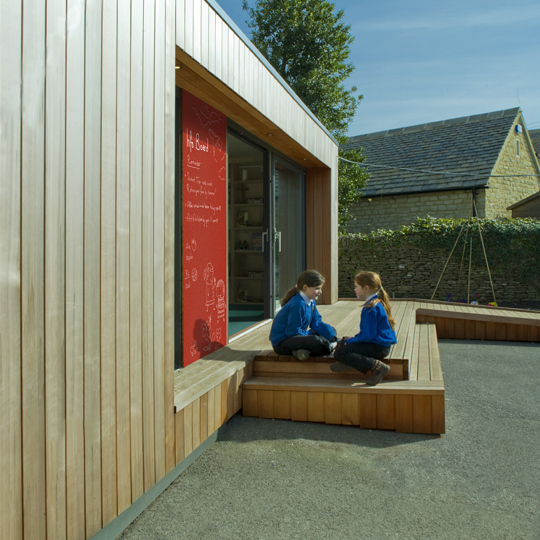 An Ecospace™ classroom’s sustainable cedar exterior and optional plant covered roof entice pupils in. Its warm natural interiors keep them alert and happy to stay. Even its double glazed skylights and full height sliding windows help kids learn – research proves that pupils progressed 26% faster in reading and 20% faster in maths in classrooms with more daylight. Modular or bespoke can be created. Please contact us for more information. Why Have an Eco Friendly Classroom? Few would dispute the importance of teaching children all about the environment, and about how to preserve it for the generations to come. But, if the classrooms in which the children are being taught don’t put the lessons into practice, opportunities for active learning could be lost. This doesn’t happen in an eco classroom. 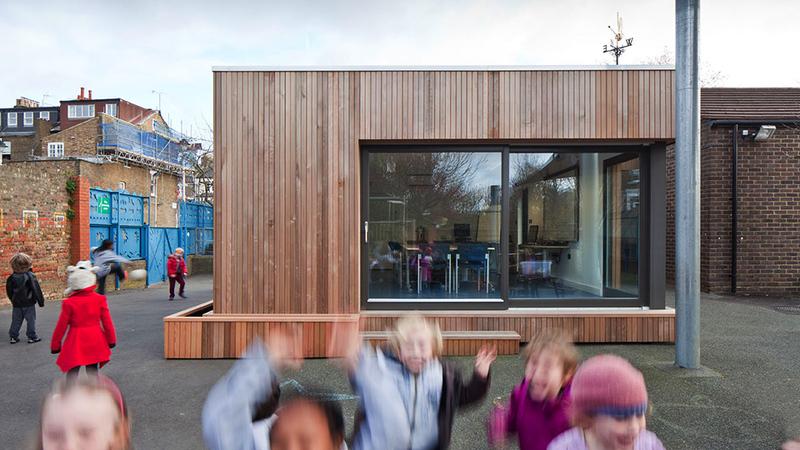 Sustainable classrooms demonstrate a school’s commitment to the environment starts at home, and encourages pupils to become active citizens, aware of the impact they have on their surroundings. This is particularly true of outdoor classrooms, where children will feel much closer to the natural world they are learning about. 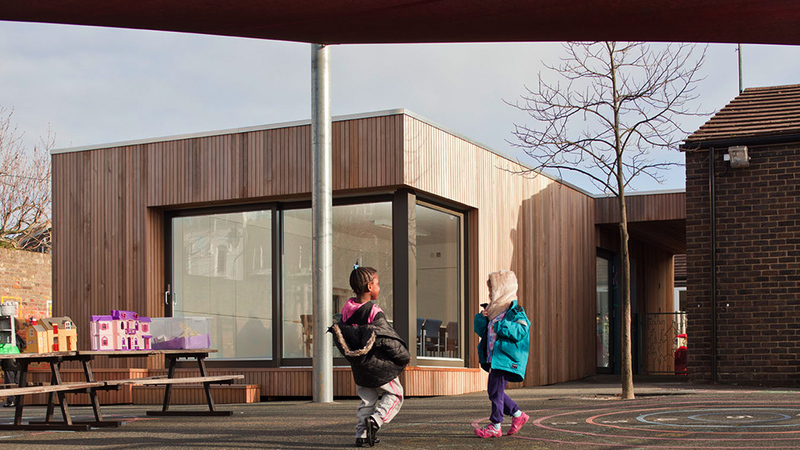 With schools inevitably needing to use heat, light, water and paper, an eco friendly classroom is a great starting point for reducing consumption. While teaching environmental issues and behaviour such as turning out lights are crucial, it’s only in an eco classroom that you can genuinely practice what you preach. An eco classroom or outdoor classrooms can involve and inspire parents and the whole school community. And whether you go for modular classrooms or a bespoke option, an eco classroom can have a very positive impact on a child’s education. 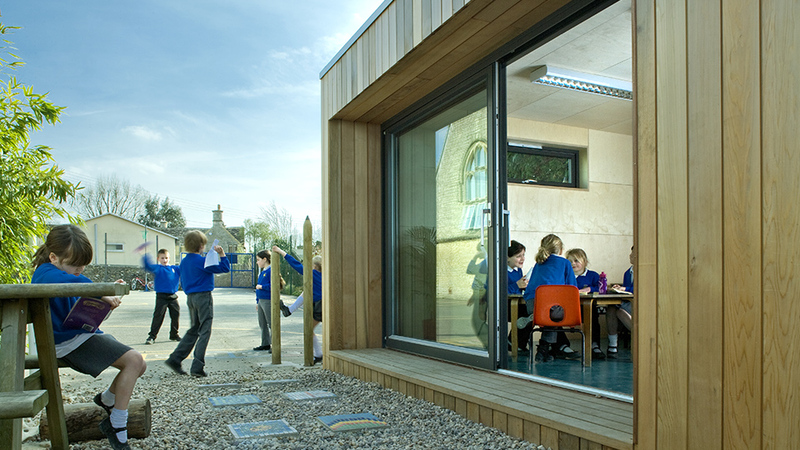 Sustainable classrooms with more daylight, for example, have been proven to speed up learning in reading and maths. But, with several suppliers of sustainable classrooms on the market, how can you be sure which one would suit your school best? 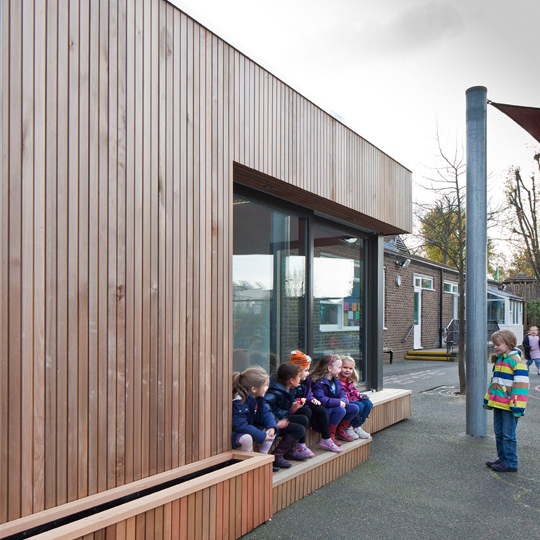 With various outdoor classrooms, modular classrooms and more to pick from, the choices can seem bewildering. Equally, with so many ‘sustainable’ products turning out not to be that ‘green’ after all, how can you be sure which sustainable classrooms on offer would give you a genuine eco classroom? If you’re thinking about an eco classroom, whether you’re interested in outdoor classrooms, modular classrooms or any other kind of eco friendly classroom, make Ecospace your first port of call. We were established to provide solutions like sustainable classrooms which address modern environmental, spatial and financial issues. 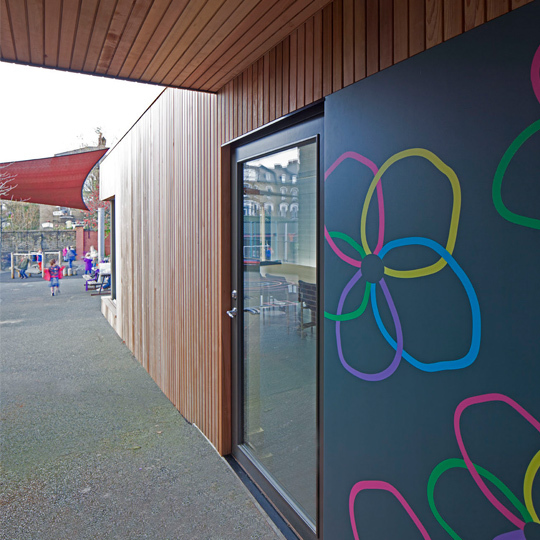 Our approach to outdoor classrooms and the like is to put a strong emphasis on high quality, a fixed price and a short timescale, which tends to be especially important in schools. 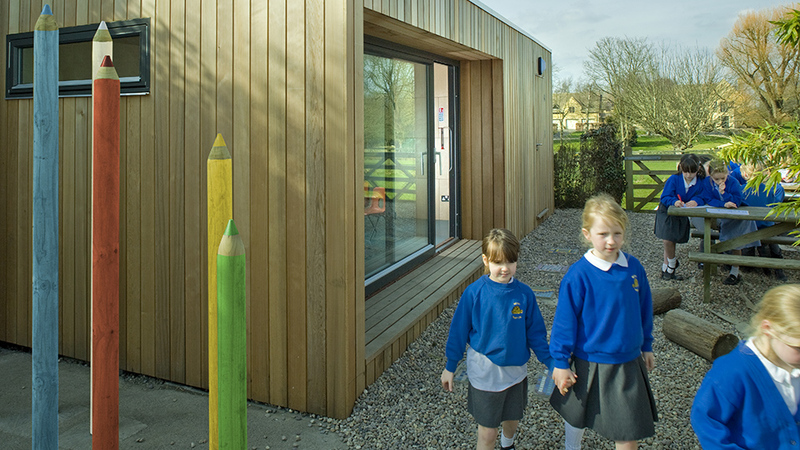 We can supply either modular classrooms or bespoke products, including outdoor classrooms. 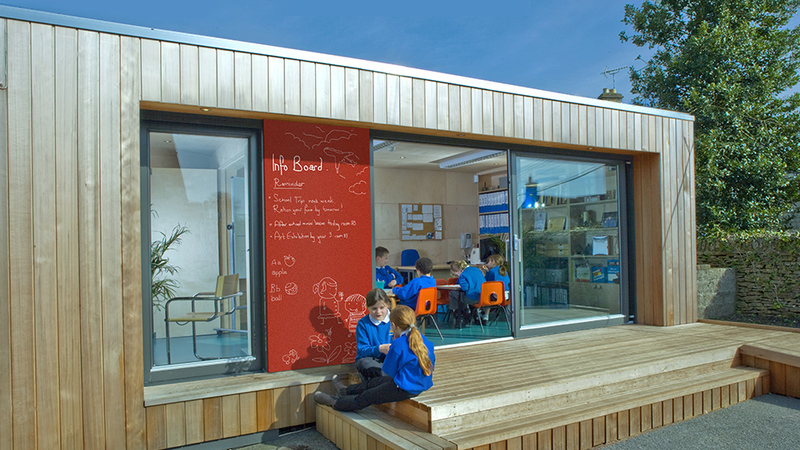 An eco friendly classroom from us could be a music room or an art or science block. 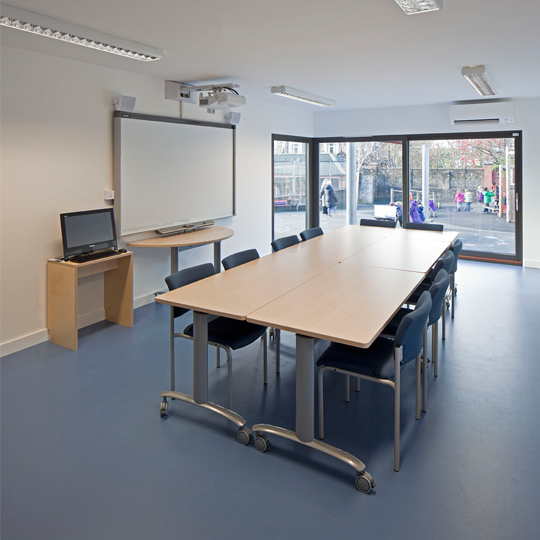 Or some schools use our sustainable classrooms for much-needed extra office accommodation or general teaching space. People come to us for an eco friendly classroom because of our inspirational designs and short lead times – we can often complete within days. Our modular classrooms have sustainable cedar exteriors and optional plant covered roofs which make children want to come inside. Our warm natural interiors then keep pupils alert, read to learn and happy to stay. 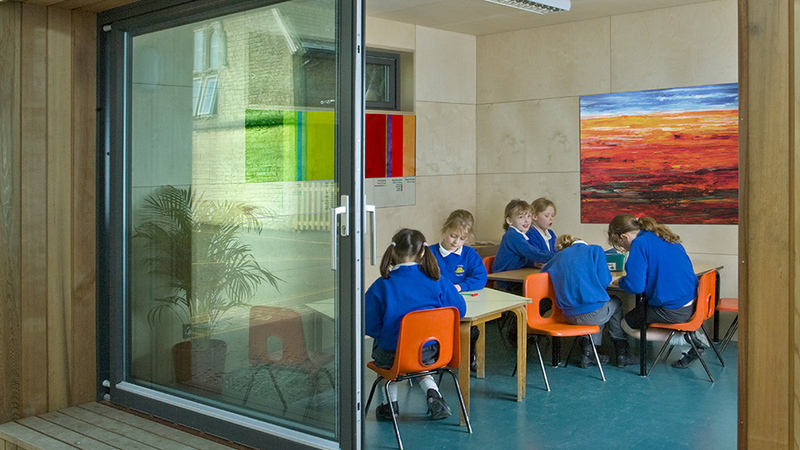 Even the double glazed skylights and full height sliding windows help children to learn. See our website for more detailed information. As specialists in sustainable housing, we passionately believe that educating children on the importance of respecting the environment is vital to ensure future generations treat it with the care it deserves. Therefore, teaching children inside an eco classroom is the perfect way to do this. Our eco architects have designed environmentally-friendly teaching classrooms which are warmly decorated, bright and cosy enough to cultivate an intimate learning environment. Another bonus of these educational outdoor rooms is that children can easily be allowed into the fresh air for exercise and relaxation.